After reading Jayne Stanton’s uplifting post about all the things she’s got to look forward to and how glad she is to see the back of February, I couldn’t help but agree – Spring is on its way and several treats are on the horizon. 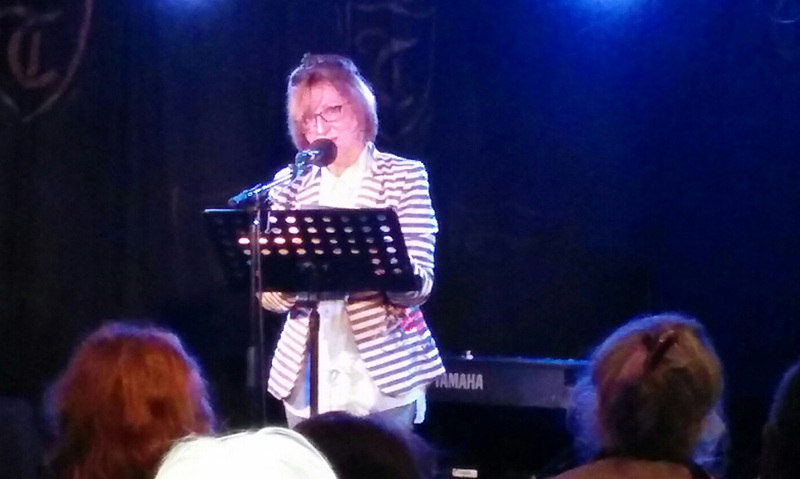 Things kick off this evening at The Troubadour, where Anne-Marie Fyfe has invited me to join the readers in a yellow-themed extravaganza Big Yellow Taxi. I’m planning to read a short ‘poem starting with a first line by Emily Dickinson’ which features some of my favourite things yellow (eg Doris Day’s hair). I’m looking forward to seeing Stephen Bone there too, and I know he’s famous for taking the colour theme very seriously! In a couple of week’s time I’m taking myself off to the lovely Arts and Crafts house Standen for a few days where I’m having a self-styled reading & writing retreat. Hurrah! Returning just in time for the launch of the Needlewriters Anthology in Lewes on 26th March and an opportunity to read alongside my fabulous poetic cohorts Clare Best, Janet Sutherland, Charlotte Gann, Jeremy Page, Liz Bahs, Judith Kazantzis & Kay Syrad. I feel like the new girl being invited to the prefects’ table. The next Needlewriters quarterly event is on April 9th, closely followed the next week by Telltale Poets & Friends at the Lewes Arms on Wednesday 15th April. I’m very excited about that as our headline reader will be Martin Malone, a fine poet as well as editor of The Interpreter’s House. We’ll also be showcasing two up and coming poets, Ryan Whatley and Helen Fletcher. Helen’s coming all the way from Carlisle so I hope we can get good audience and show her what a poetry-loving lot we are in Lewes. In the back end of the month I’ll be reading at Poetry in the House, Shanta Acharya’s regular event at Lauderdale House in Highgate, on Wednesday 22nd April alongside some super poets including Mona Arshi and Richard Skinner. And big thanks to Michaela Ridgway for inviting me to read at the long-running Pighog Poetry night in Brighton on Thursday 30th April. Pighog Press have been taken over by US publisher Red Hen, but the Brighton poetry nights continue. The Redroaster Cafe is a super venue and the nights are well attended, so it should be great fun. If you’re able to get to any of the above, please come and say hello! Thank you for mentioning my blog post, Robin. Enjoy your spring readings! You’re welcome, Jayne, and thank you! I was at Standen on Sunday ! The spring flowers are just starting to come out and we found some little frogs basking in the sunshine. It was very pretty and very peaceful, I hope you have a restful and productive time …. Ah! Thanks Debra. Yes it’s a super place isn’t it, especially out of season. I’m really looking forward to it.